From Great Falls, to Butte, Helena Glacier National Park and Spokane, this field trip crosses onto the leading edge of the Rocky Mountain thrust belt and proceeds to the stratiform copper-silver deposits in the Revett Formation of the Troy Mine in the main part of the Belt basin. 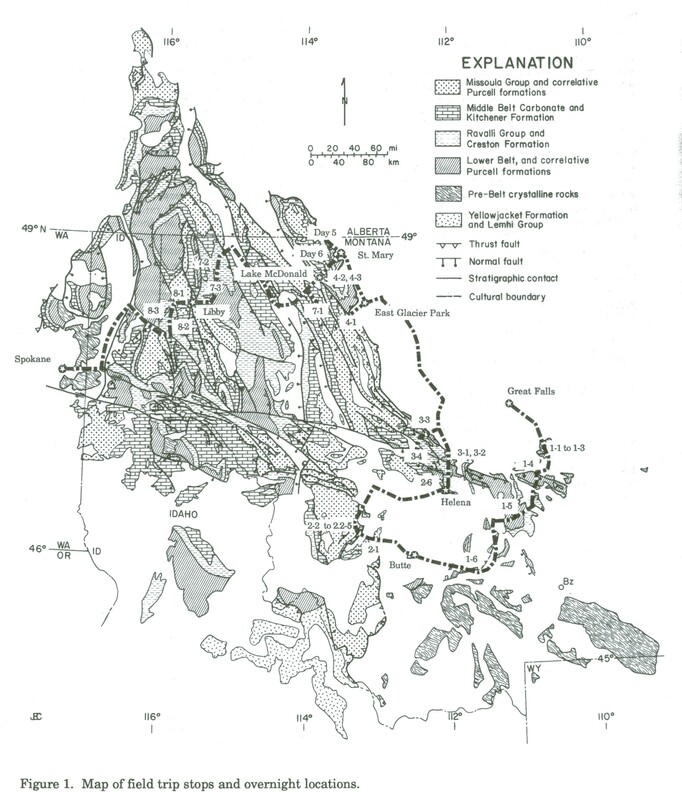 The road log includes sections on the paleontology of the Middle Proterozoic Belt Supergroup, stromatolites of the Belt Supergroup (specific to Glacier National Park), Middle Proterozoic Tectonics of the Belt basin, and a sedimentologic and tectonic interpretation of the Belt Supergroup. Order from the American Geophysical Union Bookstore. Go to the AGU on line order form for ordering information.